On March 3, Kaidrei discovered the joy of puddles! She walked to the corner on her way to the mailbox with me and stopped when she saw the puddle from the rain the night before. 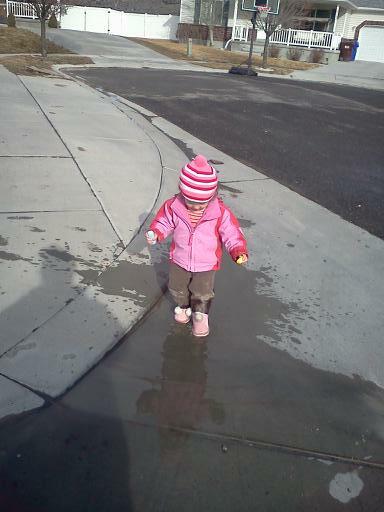 She very cautiously stepped into the puddle and looked to see what I was going to do. 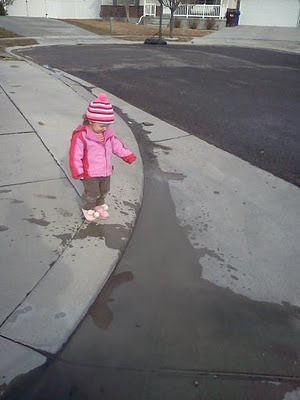 She was so happy when she realized that it splashed when she stomped her foot. She did get slightly concerned when she fell and got all wet, but not enough to stop. 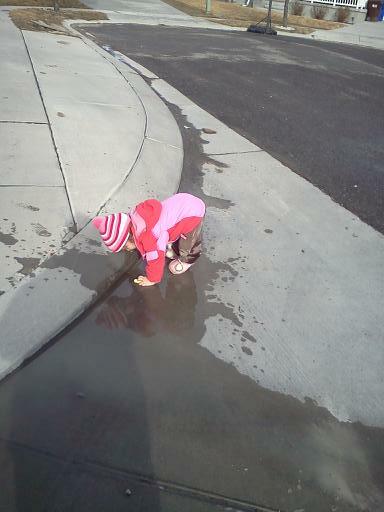 She also enjoyed seeing her footprints when she walked out of the puddle. In the end, we had one happy toddler with soaking wet pants and boots!